Based on most accounts reported by local and national media outlets and posted on social media, it appeared the Phoenix Police Department’s response to a minority group of protesters who chose to commit criminal acts in Downtown Phoenix during President Trump’s visit on Tuesday, August 22, 20107, was justified, appropriate, and textbook. The men and women of the Phoenix Police Department received accolades from citizens, media reporters, the City Manager, the Mayor, and Phoenix Police Chief Jeri Williams for their restraint and professionalism. 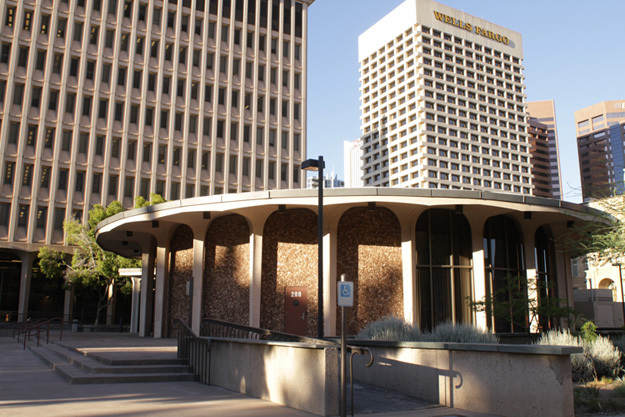 On Monday, August 28, 2017, PLEA learned that City Manager Ed Zuercher announced that he, through the City Attorney, was engaging an outside firm to “assess the preparation and response by the Phoenix Police Department to the events of August 22 surrounding President Trump’s campaign rally in downtown Phoenix.” This decision was based on an agenda being pushed by Mayor Greg Stanton and Councilwoman Kate Gallego due to pressure from groups including Puente and the ACLU. CLICK HERE to read his memo to Chief Williams. PLEA began to research the “outside firm” OIR Group Inc. and determined that they are a group of civil rights attorneys who make a living second-guessing police agencies and police officers, primarily in California, including the Oxnard Police Department, however they have litigated in other states including Oregon. Through our network of police labor association attorneys who represent some of these associations, we learned that inviting OIR Group to “review” the Phoenix Police Department would have similar implications like when the City hired the Berkshire Group a few years ago. In other words, they dictate how the department should be run, based on their opinions and perspectives. Additionally, OIR Group is also a major advocate of civilian oversight of police agencies, where civilians dictate police policy. To our credit, the Phoenix Police Department has a total of 12 advisory boards consisting of citizens from all over the city that serve as information pipelines between the Department and the community and we have civilians who sit as members of both Disciplinary Review and Use of Force Boards and the Civil Service Board, which is composed entirely of civilians. PLEA attended yesterday’s City Council meeting where the Council was scheduled to vote on whether or not to hire OIR Group. Ken Crane had a prepared statement to read regarding PLEA’s adamant stance against hiring them due to potential ramifications regarding how police actions with regards to mass protests and use of force incidents are handled in the future. The agenda item was “front loaded” so it could be heard first, however at the point where public comment was allowed, the meeting was hijacked by a group who claimed to be in downtown on August 22nd and began hurling baseless accusations regarding actions taken by officers working the protests. Mayor Stanton failed to take control of the meeting and essentially ceded control to this group, who incidentally, refused to allow anyone with an opposing viewpoint to speak. Rather than take our turn at the microphone, only to be drowned out or shut down by this group, which they most certainly would have capitalized on by posting video to their social media accounts, a decision was made by the PLEA Board members who were at the meeting to leave and go back to the PLEA Office, where we recorded a video of what would have been presented at Council. It should be noted that PLEA did not back down or cave into pressure, as we have never been afraid to take on tough topics, especially in the public eye, but instead decided that there were other ways to get our message out, as you can see here. You can listen to local radio host Mike Broomhead’s interview of Ken Crane earlier today on his show. PLEA would like to thank all of you who have provided words of encouragement and support to the hard working men and women of the Phoenix Police Department during what has been a time of intense scrutiny.